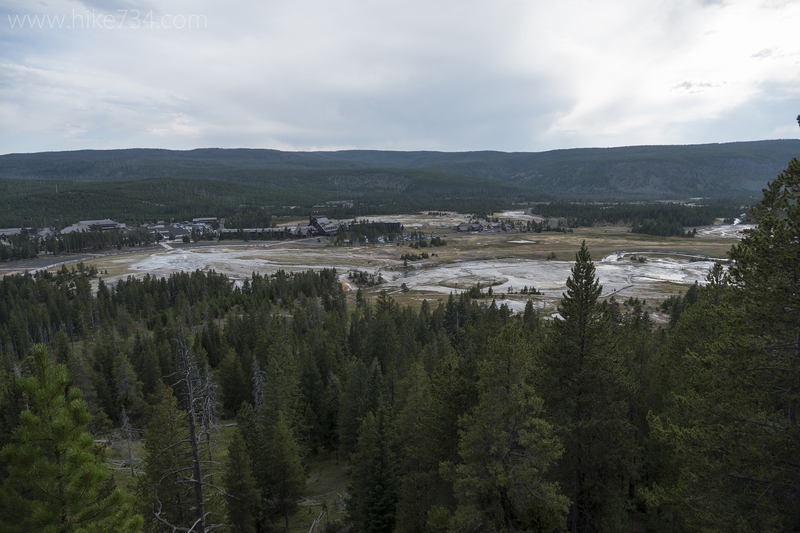 This short trail takes you across the Firehole River to a nice vantage overlooking the Old Faithful area. 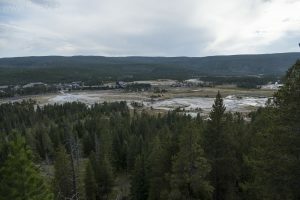 From the visitor center, walk counterclockwise to the other side of Old Faithful Geyser and follow the paved path to the right as it crosses over the Firehole River. On the other side of the bridge, the path to Observation Point takes off and climbs through the forest with interesting rock formations and grassy meadows. Take a right at the junction to continue past the trail that heads to Solitary Geyser. Further up the trail, you reach a junction for the loop around to the top. Go either direction to the top to enjoy the views of the river, the historic buildings and visitor center, as well as the hydrothermal landscape. As a bonus on the way back down, head over to the Solitary Geyser which frequently erupts from a clear pool. Trailhead: Park in the parking lots for the Old Faithful Visitor Center and follow the signs to Old Faithful Geyser.